Over the past few years it seems cyclists of all stripes have been moving up a category or two. 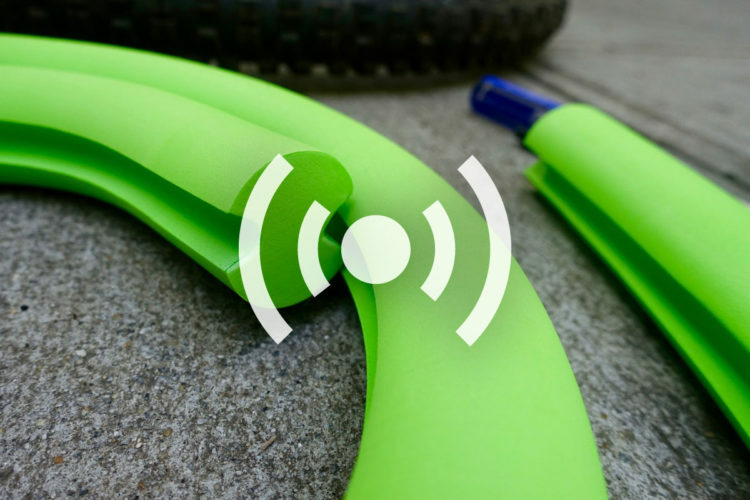 Road bikers are taking on gravel, XC race courses are becoming more technical, trail riders are going enduro, and everyone is riding park. 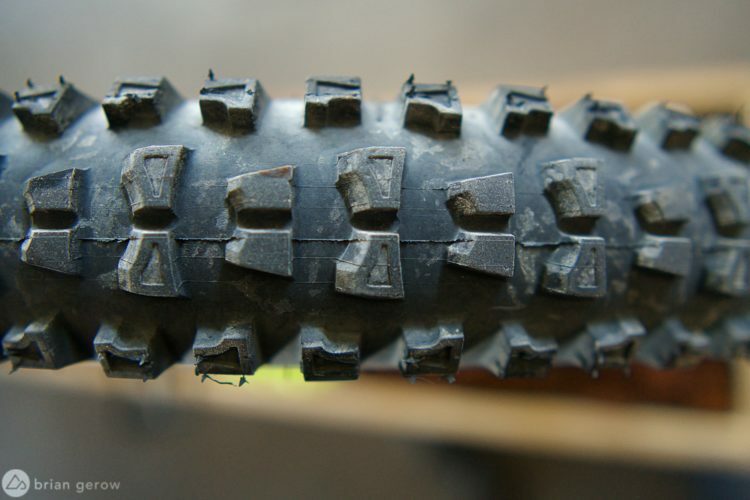 All jokes aside, there really has been a shift in the types of tires everyday mountain bikers are choosing to run. For many, getting a more aggressive tire is worth the added weight and rolling resistance tradeoff. A few years ago I wouldn’t even consider running a tire like the Vittoria Martello; now, I can’t get enough of it. 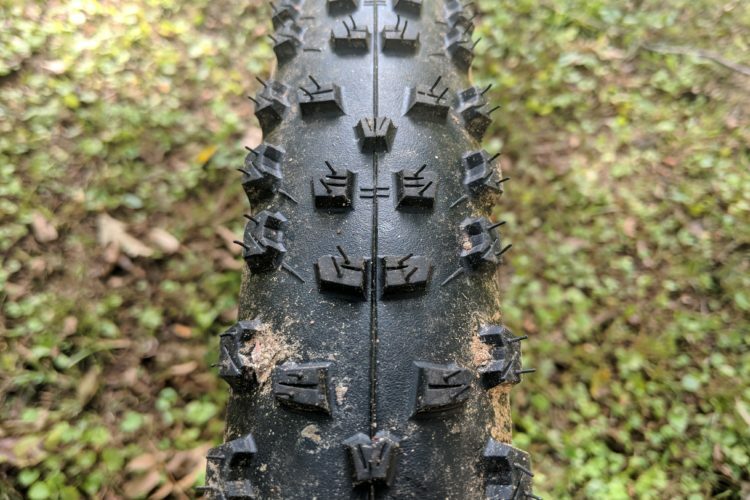 The Vittoria Martello started life as a DH tire, but today the company offers it in an all-mountain version, which is what I tested. I’ve been running the 29×2.35″ size, and the tire is also offered in 27.5×2.35″ and (coming soon) 27.5×2.8″. 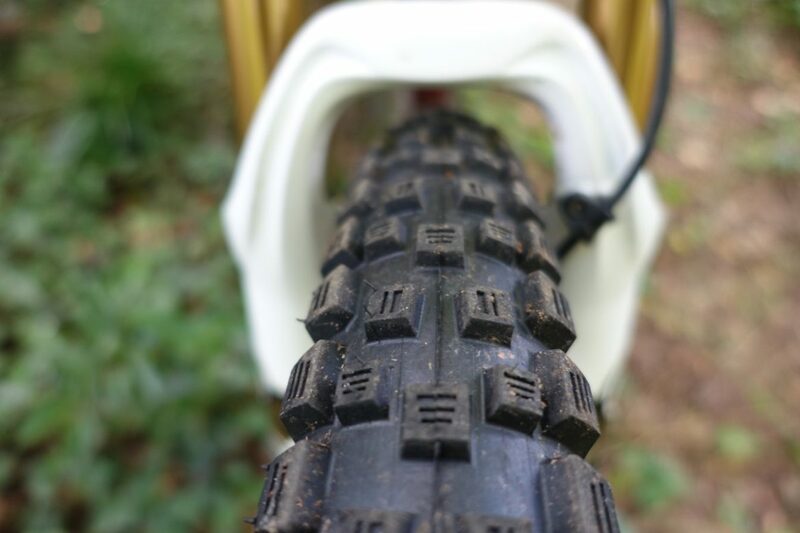 Looking at the tread pattern, it’s clear the Martello is DH-inspired to say the least. The big, meaty knobs are spaced wide and are squarish, not ramped. This gives the knobs a ton of bite, but the tradeoff is they don’t roll as fast as a tire with more ramped knobs. The slits seen here are called sipes. 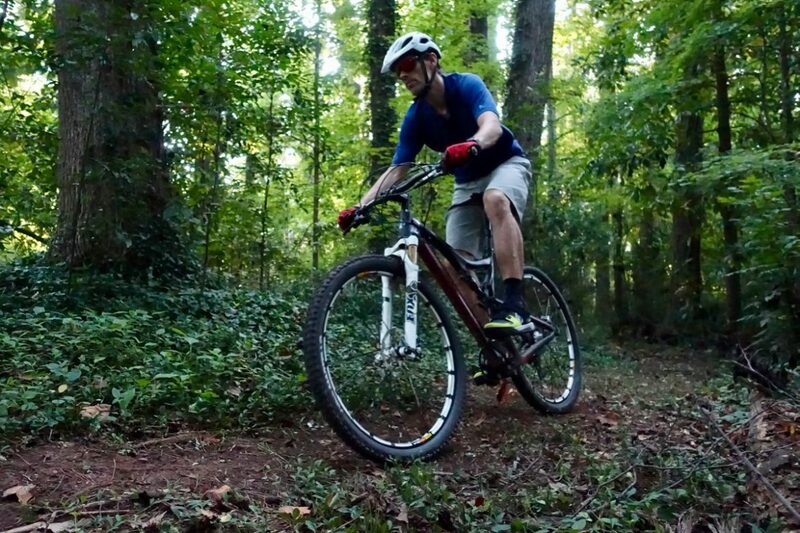 I’m not a top racer by any means, so I can’t speak to the fine-touch feel on the trail. However, it is clear from pressing the knobs with a thumb that they have a nice amount of give near the surface, but still feel sturdy underneath. In my opinion, this gives the tire somewhat of a soft-rubber feel, without the quick wear associated with softer compounds. The Martello can be run as a front or rear tire. I found during my tests that I prefer running the Martello in the front, paired with a lighter, faster rolling tire in the rear. 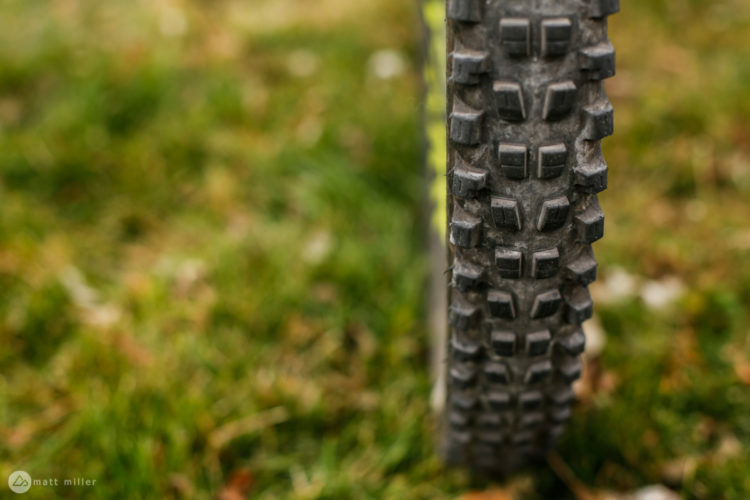 At 960g, this is not a lightweight 29er tire, but in terms of performance and handling, it more than worth its weight. Tubeless installation was a cinch, and the tires tend to hold air really well. I didn’t experience any slow leaks or issues keeping the bead seated. 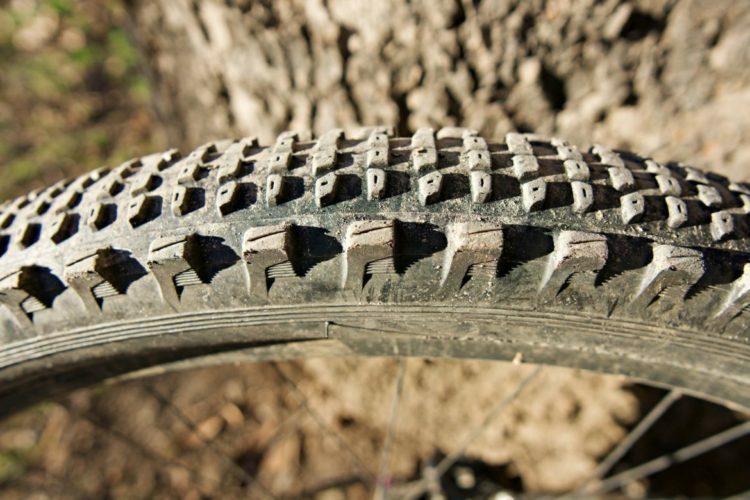 In short, the Vittoria Martello tires work great. Up front, the tire hooks up in corners and deals well with mixed to loose conditions. 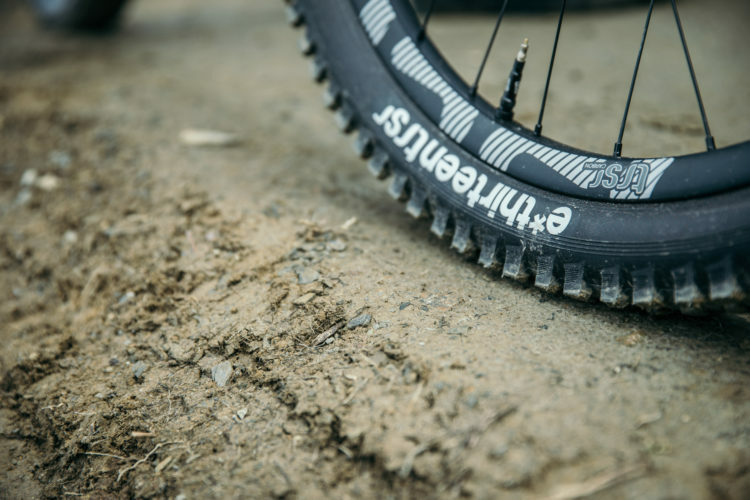 The squarish knobs punch through kitty litter to find hard ground, and really give confidence over a more trail-oriented, all-around tire. I found about 20psi up front works well, especially when paired with an insert. Out back, the Vittoria Martello does a fine job, but I found it to be overkill for most trail rides. I had hoped the tire would help me get up and over slick rocks and roots compared to less aggressive tires, but that really wasn’t the case. The wide-set knobs tend to spin, and the siping allows the knobs to get a little too loosey-goosey for maximum power transfer. 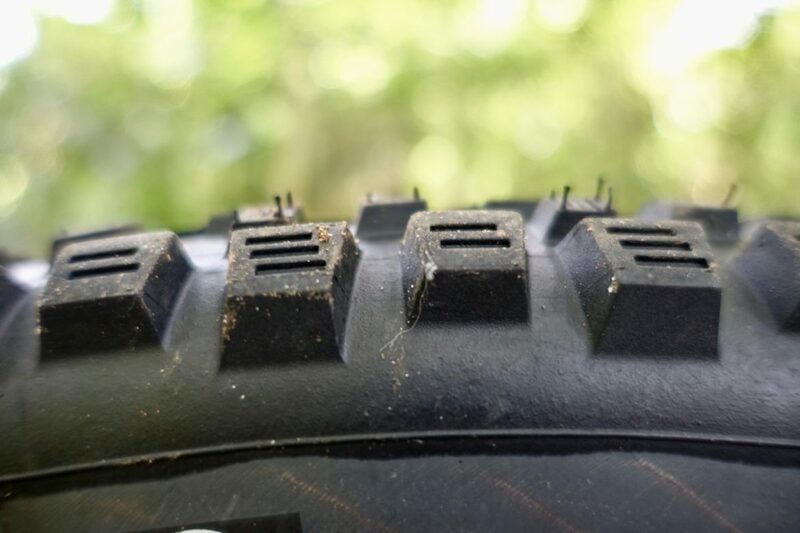 For trail and even all-mountain riders, the Vittoria Martello is an excellent choice as a front tire for most conditions. 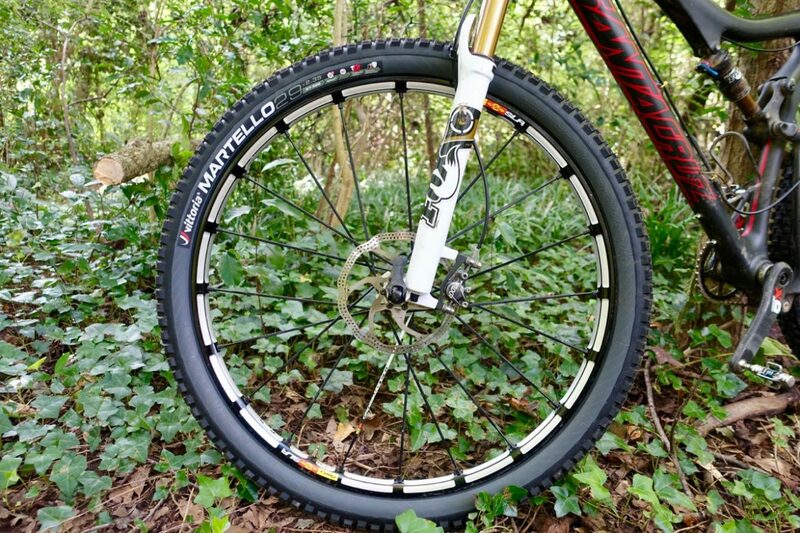 And for those who are looking to ride even more aggressively and aren’t concerned about taking on a little extra weight and rolling resistance, running Martellos front and rear provides a ton of grip for ripping descents. 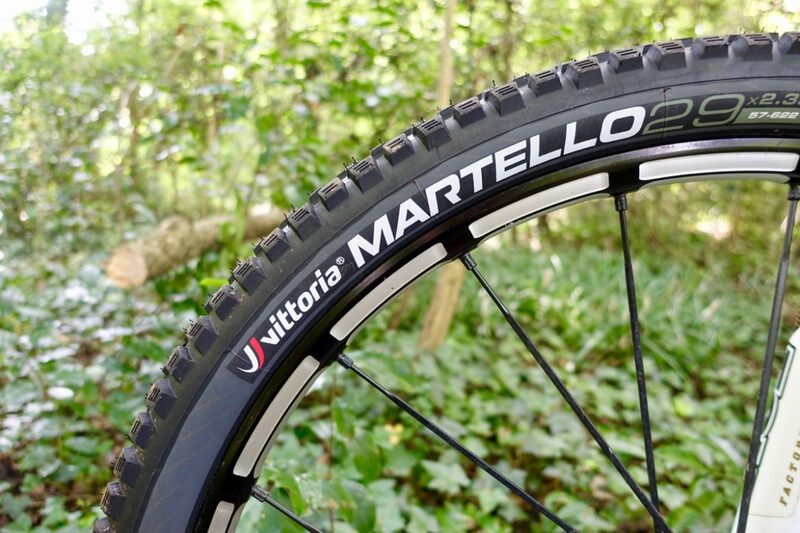 Thanks to Vittoria for providing the Martello tires for review.